Students interested in pursuing advanced degrees or careers in political science and international relations may wish to explore research opportunities on or off campus. IPS students interested in doing research for credit with an IPS faculty member on the faculty member's ongoing research, should contact the faculty member directly about the opportunity. Once the student and faculty member have agreed on the research project, please complete the Institute for Politics and Strategy Research for Credit Form and submit it to Emily Half, Deputy Director. Students interested in undergraduate research should consult the resources available through the Carnegie Mellon Undergraduate Research Office (URO). The list below highlights opportunities available through the URO, Dietrich College, and the Institute for Politics and Strategy. 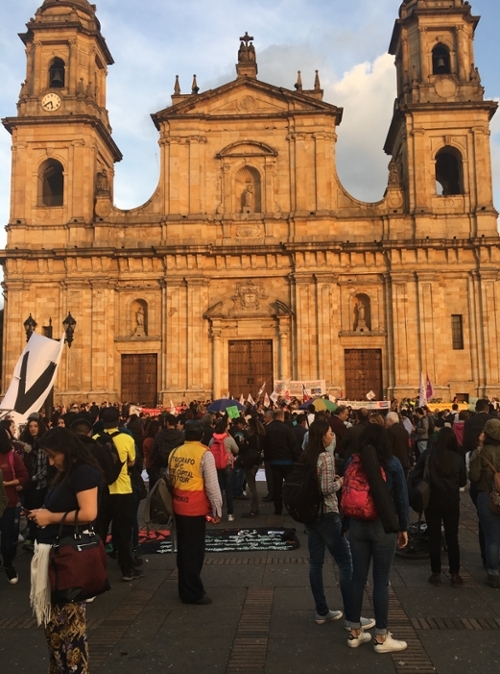 IRP/AMP student Colin Tait spent his spring break in Bogotá, Colombia conducting interviews for his thesis titled The Transnational Diffusion of Peace. "For spring break this year, I was lucky to travel to Bogotá, Colombia. While down there, I conducted field work for my thesis by interviewing people directly involved in the Havana negotiations that ended a fifty-year conflict between the Colombian government and insurgent group Las FARC. In between interviews and processing the information I collected, I was able to visit many different parts of the city and experience Colombian culture firsthand. Conducting field work is important and necessary when writing about conflict and conflict resolution because it gives you a perspective on society that cannot be gained from reading books or watching the news." 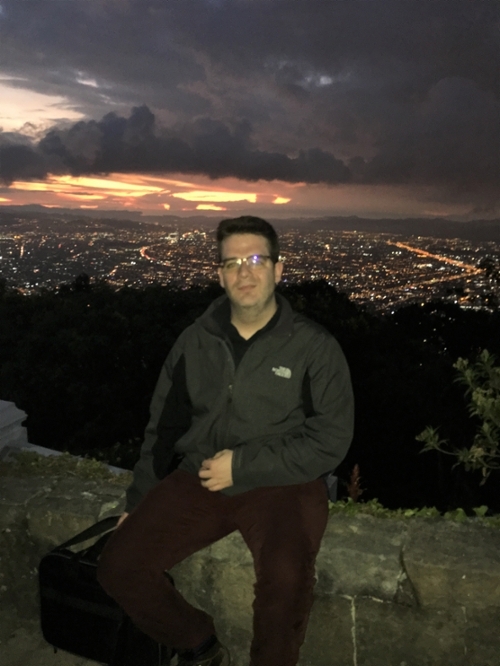 "Following my trip, I feel a special responsibility to the Colombian people to present a piece of work that captures the nuances and accurately portray the peace process in respect to the people I spoke with and the things I observed when exploring the city." Paid and unpaid positions are available for students with strong interest or training in international relations. For more information, contact the Research Lab at cirp@andrew.cmu.edu. Regularly publishes original student research on topics related to international relations and domestic politics. Essays are posted to CIRP's website. For more information about the CIRP Journal, contact cirp@andrew.cmu.edu. Through the Dietrich College Senior Honors Program students complete an honors thesis and graduate with College Honors. For more information contact Associate Dean for Undergraduate Studies, Joseph Devine. Fellows spend the summer before their senior year undertaking early-stage research and development of their thesis topics, leading to completion of their thesis by the end of the spring term. For more information contact Associate Dean for Undergraduate Studies, Joseph Devine. An annual undergraduate research symposium organized by the Undergraduate Research Office each spring. All students engaged in undergraduate research are encouraged to apply. Through this academic course, qualified first- and second-year students have the opportunity to work directly with an H&SS faculty member on an ongoing research project. For more information contact Deputy Director Emily Half. The Summer Undergraduate Research Apprenticeship (SURA) course awards tuition-free elective credit to first-year and sophomore undergraduates at Carnegie Mellon for existing faculty projects focused on undergraduate research or creative inquiry under the direction of a Carnegie Mellon faculty member. Small Undergraduate Research Grants (SURG), Summer Undergraduate Research Fellowships (SURF), and International Small Undergraduate Research Grants (ISURG) are offered by Carnegie Mellon University's Undergraduate Research Office, these grants and fellowships provide funding for undergraduate students to pursue research in any discipline.